Clearing frost on your car during the winter months is an unwelcome task and the last thing you want to spend time doing as you leave the cosy warmth of your house to head to work or drop the kids off at school. What’s more, the more late you seem to be, the thicker the frost always is! By placing a cover over your car when parking up for the night will prevent or reduce the amount of frost that will build up on your windows, saving you lots of time and cold hands. 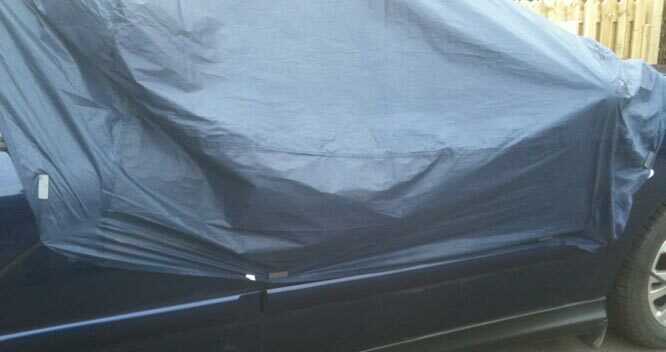 If like many people you do not have access to a garage to store your car in overnight then a magnetic car cover is definitely the solution for you. Recently we were contacted by one our customers explaining how they managed to invent their own way of protecting their car from the cold frosts of winter. William from Wiltshire purchased a selection of our 50mm long ferrite magnets to attract to his car and hold a plastic sheet in place. William used four magnets around each side of the car and two across the roof. William explained that not only did these keep the sheet in place on frosty nights, but the power of the magnets prevented the sheet from flapping noisily and blowing away in high winds. The use of ferrite magnets in William’s application meant that the cost was drastically reduced compared to buying an ‘off-the-shelf’ cover and the damage that could be caused to the car by the magnets minimised as they are strong enough to attract through the cover, therefore never actually coming into direct contact with the delicate paintwork. This meant that with care William was safe to use these magnets on his own car. It is important to always make sure the magnets aren’t in direct contact with the paintwork as they could scratch. We would like to thank William for taking the time to share his magnetic car cover with us and for sending us a photo of the magnets in use. Another way to achieve the same solution would be to use our stitch-in PVC coated magnets, which you can be stitch directly on to a touch sheet of plastic or fabric. 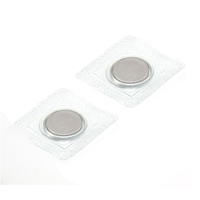 The small but strong magnets are encased in a PVC envelope which will accept a needle in thread, but also acts as a barier between the car and the magnet within. What’s more, the PVC envelope will protect the magnet from the elements allowing you to quickly position and remove the cover as needed.